It is beautifully handcrafted from pure silver to showcase the honor, responsibility and commitment of Gurkhas towards the QGS regiment. Gurkhas were trained in the arts of signaling before the formation in 1950 of what was to become the Gurkha Divisional Signal Regiment, but these had been unit signallers responsible for communications within battalions. The formation of a Gurkha division by the British, called for the appropriate divisional communications units. By 1953 one independent brigade squadron and three brigade signal troops had been formed and later in October 17 Gurkha Divisional Signal regiment came into being. Until 1955 these units were part of the Royal Corps of Signals but in that year they were incorporated into the Brigade of Gurkhas with the title “Gurkha Signals” and in 1977 this became the “Queens Gurkha Signals”. 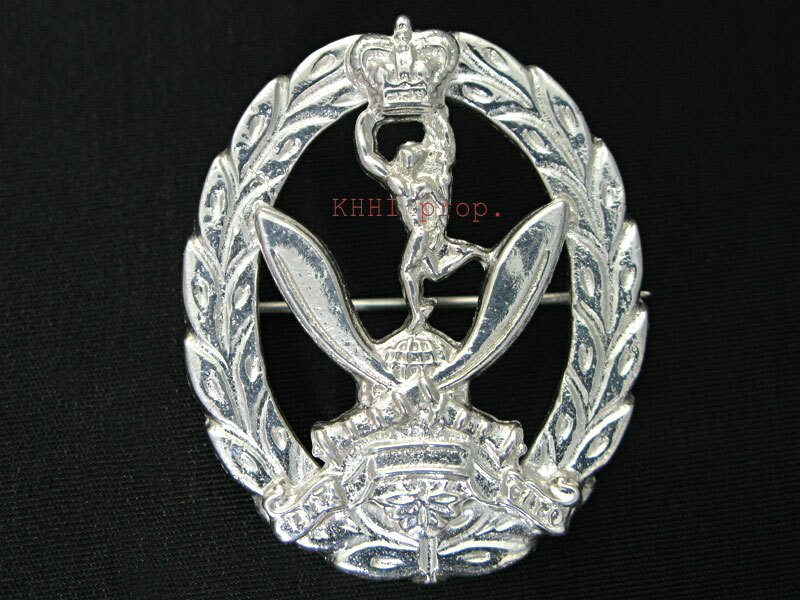 The insignia of QGS has been made to honor the work of the regiment. The brooch is made of pure silver with minimum amount of white metal to make it hard and durable. It is beautifully handcrafted to showcase the honor, responsibility and commitment of Gurkhas towards the QGS regiment. The silver brooch is a mainstay of every woman’s wardrobe, now even it is men’s fashion trend. It can be used the standard way - as an fashion accessory. They can also be used on clothing accessories like dresses, coats, scarves and other formal wear. It takes about 3 days to complete the brooch. Size: 1.50 x 1.20 cm approx.